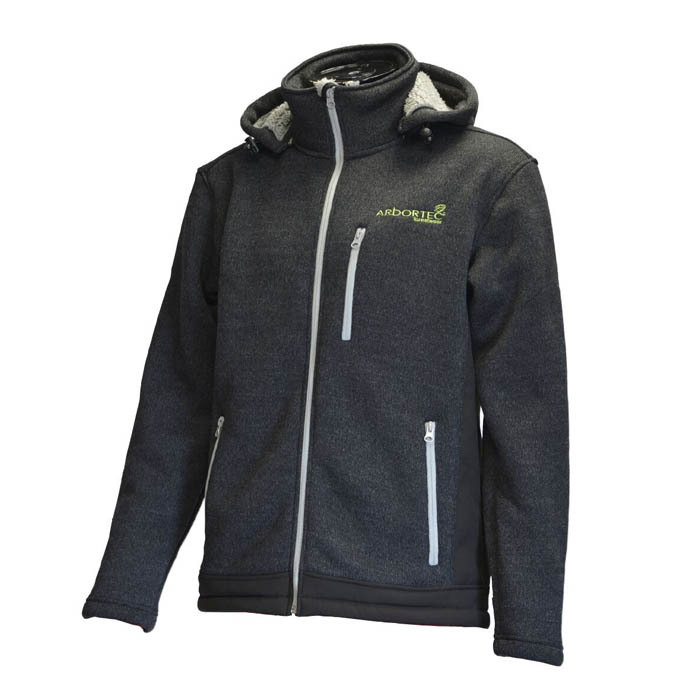 This smart zip front jacket in a 300gsm knit is somewhat of a hybrid between jacket and hoodie, with its soft and casual fit, and the multitude of pockets and features. Easy to wear, the AT4800 is also extremely smart, and the mid-weight fleece lining adds a welcome layer of warmth. The hood has drawstring adjusters is completely removable, and can be stowed in the large rear pocket if required. There is a large chest pocket (ideal for smart phone) and we’ve included a handy port to thread your earphones through to the inside of the jacket. Two further large pockets are found on the inside left and right (right zippered, left hook& loop) and there is a safety clip integrated in the left hand pocket to secure your keys.